Packed with a variety of a huge variety of things to do: dot-to-dots, mazes, spot the difference, word games, picture and number puzzles, things to spot, and fun stickers! Discover Scotland with this bright and lively activity and sticker book that's bursting with a huge variety of things to do: dot-to-dots, mazes, spot the difference, word games, picture and number puzzles, things to spot, plus lots of stickers! Discover Scotland with this bright and lively activity and sticker book that's bursting with colouring, puzzles and lots more. Find the real Nessie, play a few Highland games and take a trip on the North Coast 500 through puzzles and activities inspired by all the things that make Scotland special -- the places, animals, history, traditions and famous faces. 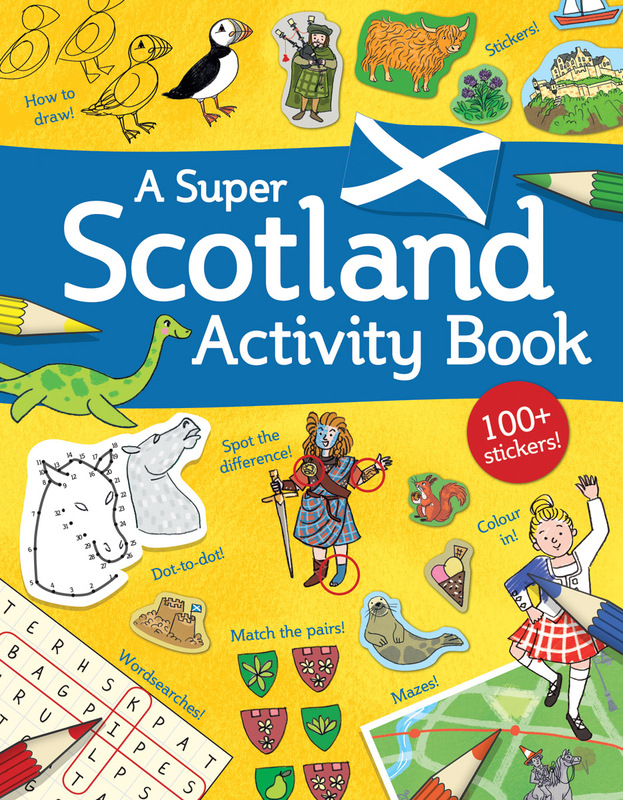 Entertaining from cover to cover, A Super Scotland Activity Book has a huge variety of things to do: dot-to-dots, mazes, spot the difference, word games, picture and number puzzles, things to spot, plus lots of stickers! With plenty of dip-in and out appeal, children can enjoy activities that feature all the highlights of a tour of Scotland and learn fun facts along the way. 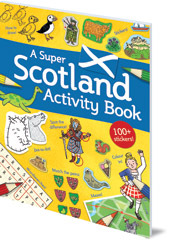 A Super Scotland Activity Book is a must-have for holidays in Scotland and a wonderful souvenir for remembering Scottish adventures. Susana Gurrea is a children's book writer and illustrator from Barcelona, Spain. She is the illustrator of A Super Scotland Sticker Book.